Art Deco sapphire & diamond pendant,1920. Product code: 942 Categories: Sold Items, Sold Jewellery. 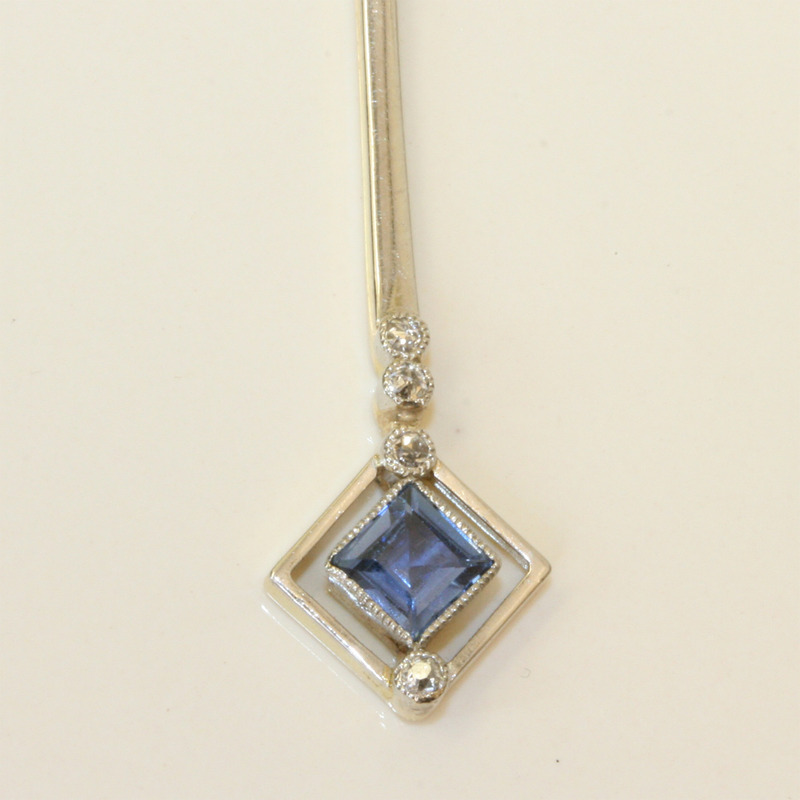 This is a perfect Art Deco sapphire and diamond pendant that is so versatile and can be worn during the day or the night. Made in Platinum and 15ct gold, this Art Deco pendant measures 35mm in length and sits perfect on the neckline. Set with 6 diamonds and 1 sapphire, this is a good example of an Art Deco pendant that is so easy to wear during the day or night. A really fine and elegant example of Art Deco jewellery.